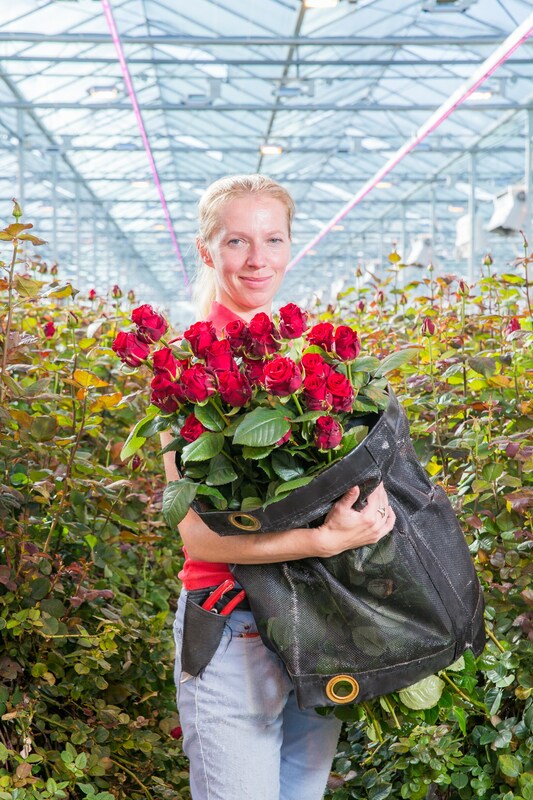 Eindhoven, The Netherlands – Royal Philips (NYSE: PHG, AEX: PHIA), the global leader in lighting, is helping rose growers increase yields and improve the quality of the most romantic, yet light-intensive flower in the world. Philips GreenPower toplighting LED solution brings more light for the same amount of energy, optimized light spectrum and a significant reduction in radiated heat. 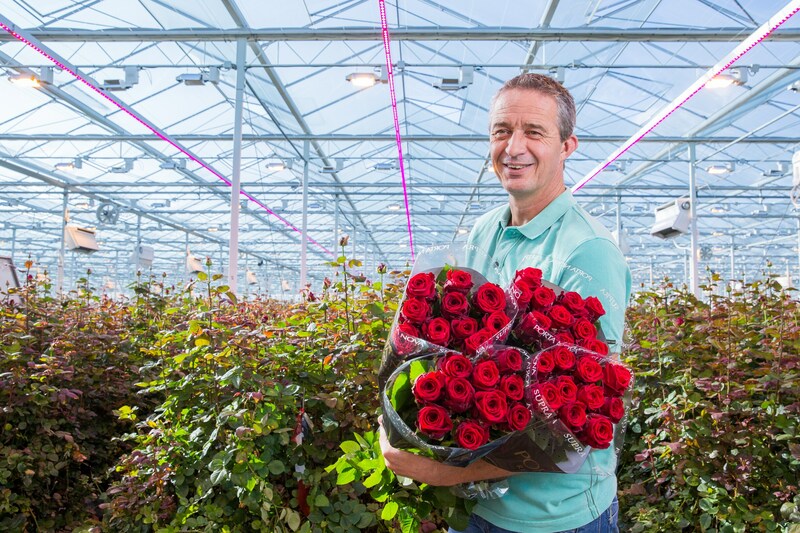 Today, Philips announces that three major cut rose producers from Belgium and The Netherlands have installed GreenPower toplighting and are using Philips’ light recipes to obtain significant improvements. Philips GreenPower LED toplighting, introduced in July 2015, enables higher yields, greater quality and lower costs than other available solutions. LED toplighting is 50% more efficient in converting electricity to light (up to 2.7 μmol/Joule) than high pressure sodium (HPS) systems that have been prevalent in the market. The new solution allows growers to give crops the optimum light levels, reducing radiated heat and increasing yields. Plant quality is improved because each plant gets the right light spectrum for optimal growth and development. Growers can also reduce operational costs, seeing up to 42% energy savings compared to HPS lighting, lower installation costs and maintenance costs. Family run commercial rose grower Wimceco BVBA, which is using Philips GreenPower LED toplighting in its 17,000 square meter greenhouse in Boechout, Belgium. Scheers Rose Nursery in Kontich, Belgium is installing Philips GreenPower LED toplighting over about 15,000 square meters to enable longer growing hours due to greater control of temperature and CO² levels thanks to the new LED toplighting radiating far less heat. 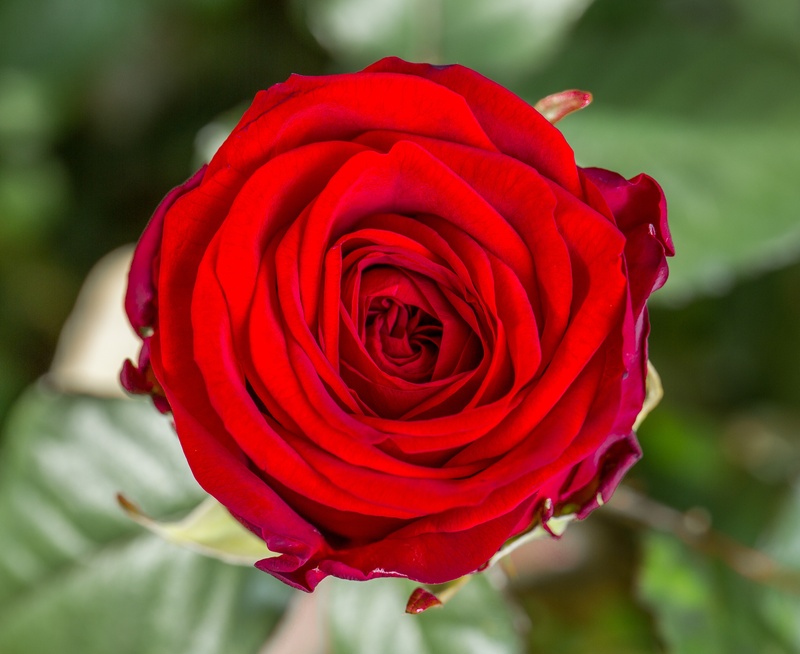 115-year old Porta Nova, the biggest grower of Red Naomi roses in the world, is trialing Philips new LED toplighting module over 1300 square meters in Waddinxveen, The Netherlands to reduce energy costs and emissions in anticipation of stricter emission regulations. Philips will display its GreenPower LED toplighting solution for cut roses and other floriculture at the International Floricultural Trade Fair (IFTF) in Vijfhuizen, The Netherlands, 4-6 November 2015 at Booth #A1.01.